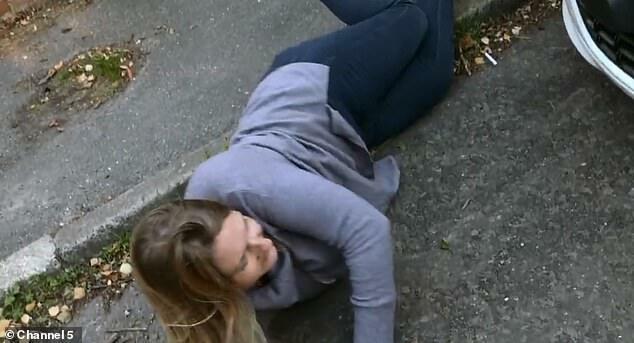 Viewers have criticised a dog trainer’s methods after a woman was left with a bleeding elbow while walking her out of control Labradors. 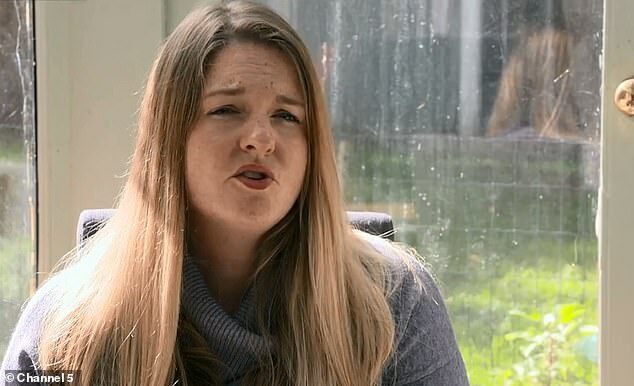 Alana Heavingham, from Surrey, appeared on Channel 5’s Dogs Behaving (Very) Badly, which aired on Tuesday, seeking the help of dog trainer Graham Paul. 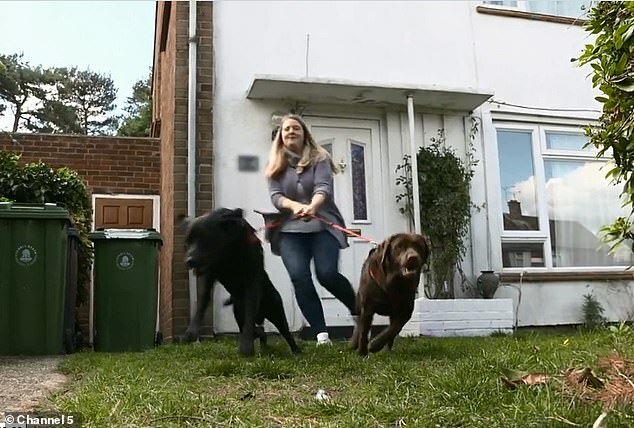 The mother-of-two purchased the two Labradors after a back operation six years ago left her in severe pain, and she was advised to stay active. However, Alana was left putting her health at further risk when she found herself unable to control her lawless mutts, a male Teddy, one, and chocolate female Fudge, two. 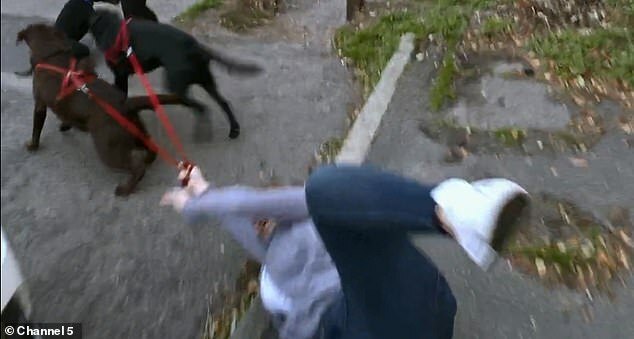 The two powerful black Labradors were pictured pulling terrified Alana to the ground, leaving her with bleeding elbows and in tears. In the programme Graham advised her to use simple ‘nudge and command’ technique, which saw them improve in minutes. 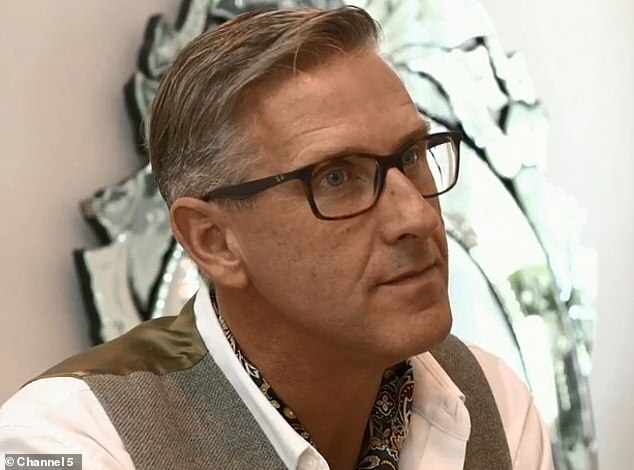 But despite the improvement many viewers criticised Graham’s methods as ‘outdated’ and even ‘bullying’, taking to Twitter to vent their frustrations. 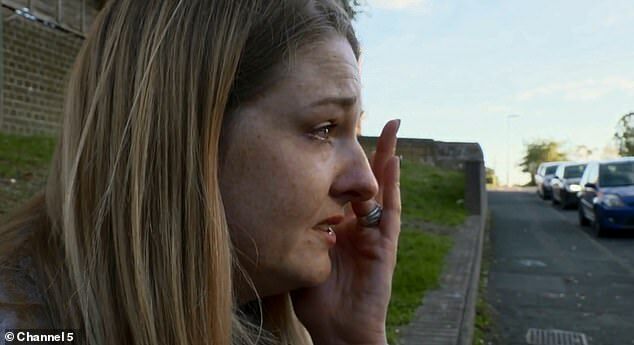 During the walk the dogs were seen jumping at a mother with a small child in a pram and a dog, with Alana’s daughter admitting that she’s worried about the injury they may cause her mother. 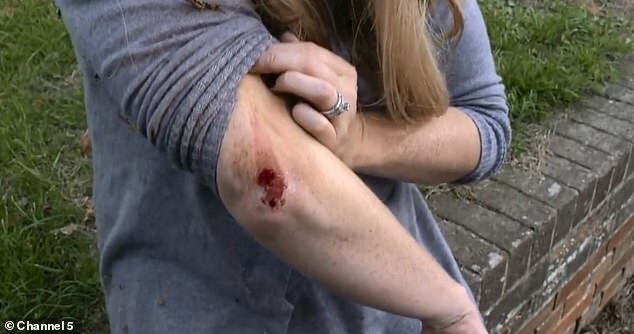 And in a terrifying encounter with another dog owner, Alana was seen screaming as she was pulled over again, admitting she lives in fear they will cause her a serious injury as she shows off her bloodied elbow and marked jeans. And Graham soon found himself ambushed as he visited the dogs at their home, as they persistently jumped at him, ignoring Alana’s directions. 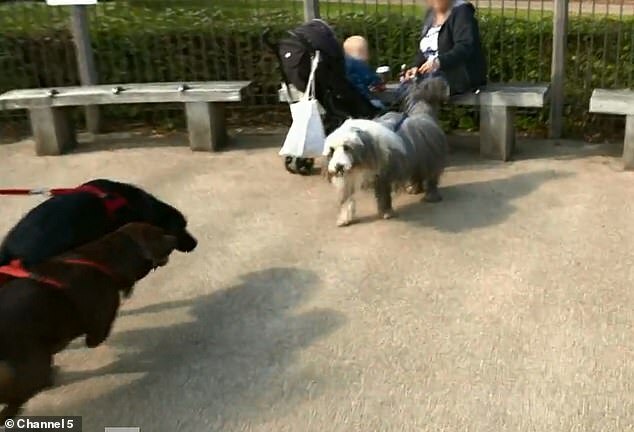 Speaking about their behaviour, he said: ‘These are lovely dogs but they’ve got no manners’. Beginning by teaching Alana how to gain control in the household, Graham revealed dogs hate to be off-balance, advising to ‘gently nudge them’. Just minutes later Graham had mastered and calmed the two dogs, with a simple clear command and a nudge. 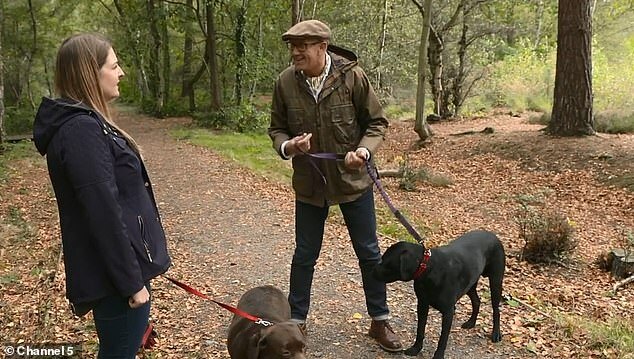 Next Graham was seen showing Alana how to get the Labradors under control during walks, adding: ‘This is a ticking time bomb because if Alana is pulled off in the wrong direction it could cause serious injury’. 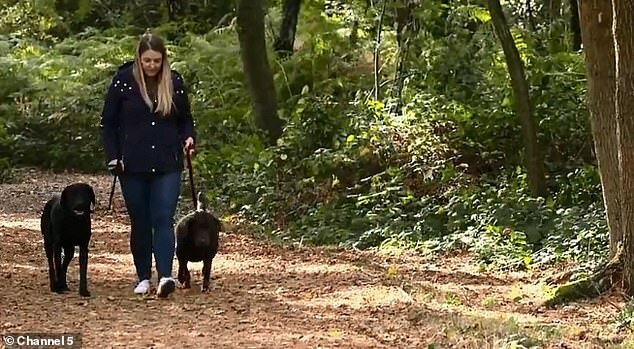 Beginning by working on building up Alana’s confidence and control indoors, he then advised her to ditch the dog harnesses for traditional leads. ‘They can be useful but in your case it just harnesses the power- you will have a lot more control with a collar,’ he explained. Next he used the ‘nudge and command’ technique with the flick of a collar and a command during the walks. ‘If he’s walking nicely in the right place, I’ll be praising him’, he added. As Graham demonstrated the technique, Teddy remarkably began stopping and walking calmly alongside him, with Alana commenting: ‘He looks so subservient’. ‘This is just ridiculous’, a shocked Alana added of Teddy’s transformation. 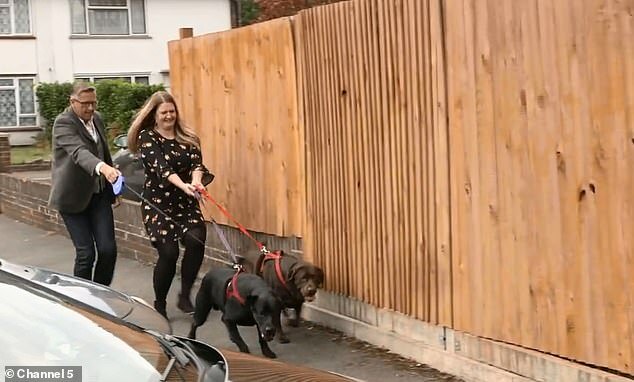 And just moments later Alana is seen taking both dogs for a walk with full control, admitting: ‘It feels amazing, I can’t remember a time where I ever walked them without any problems at all. 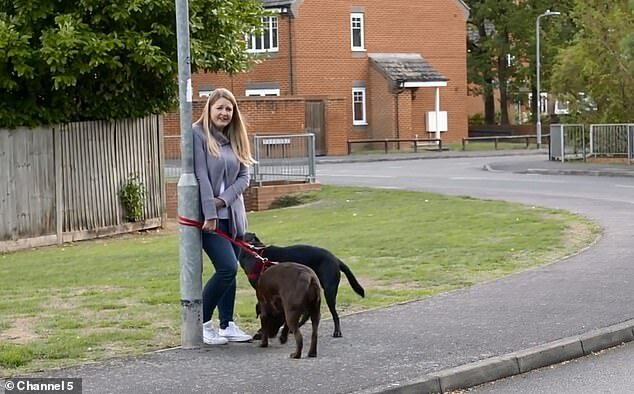 ‘I’m really excited to tell the kids so we can all take the dogs for a walk as a family’, she concluded. 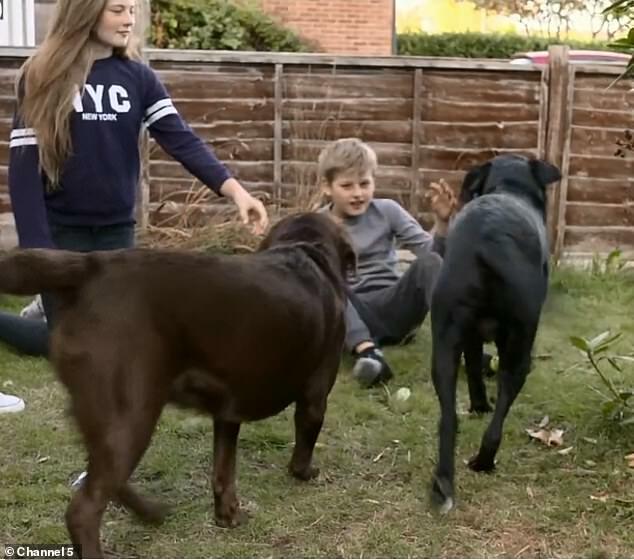 Dogs Behaving (Very) Badly airs at 8pm on Tuesday nights on Channel 5, catch up on My5.